I took this picture from the top of Mount Carmel in Israel. This is the location where Elijah and the prophets of Baal had a showdown and the God of Israel answered by fire. 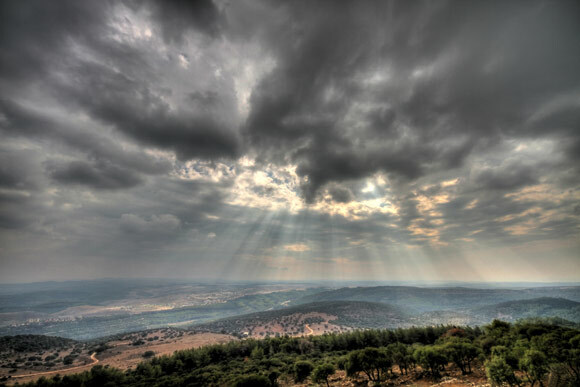 On this day there were some beautiful “angel rays” breaking through the clouds and shining down onto the Jezreel Valley.